A day after dropping new developer betas for OS X El Capitan and iOS 9, Apple appears to be gearing up for the public beta release of these upcoming operating system updates. 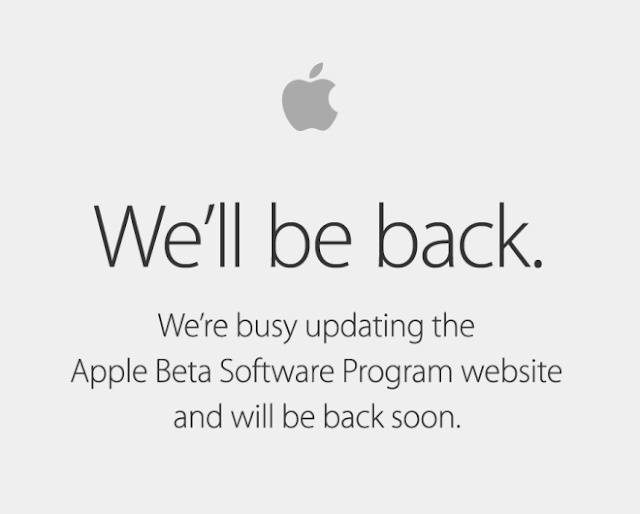 Apple’s beta website, where users can sign up to participate in the beta, has been updated with the following message. Once Apple has restored the website, we’ll make sure you know about it. Anyone interested in signing up for the public beta will need to do so at beta.apple.com. iOS 9 and OS X El Capitan both come with some great new features for Apple’s devices. Check out our original iOS 9 and OS X El Capitan posts from WWDC to learn more. Also check out what’s new in the latest iOS 9 developer beta from yesterday, especially since this is likely what will be included in the public beta.